Dual-career couples have unique relocation challenges. Moving is the norm in several professions. Military spouses have it particularly rough, since active-duty service members typically move every two to three years, sometimes without much notice. Members of the foreign service also relocate fairly frequently, to countries throughout the world, exposing their families to many unique cultures and labor markets. And when academics snag rare opportunities to research and teach at universities, their partners may find themselves having to pick up and move to far-flung college towns. 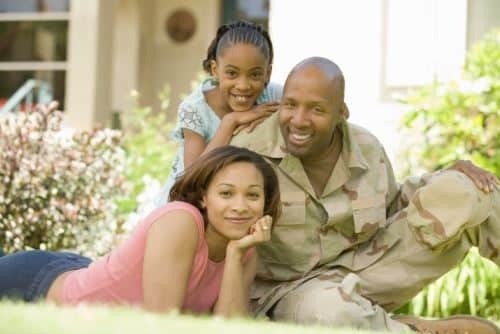 In active-duty military families, 93 percent of spouses are women, according to the Syracuse University Institute for Veterans and Military Families. Their average age is 33, just a few years away from when women tend to reach their peak earning potential. More than a third of professors are partnered to other professors, according to Stanford University’s Clayman Institute for Gender Research. These couples may find it especially difficult to build mutually satisfying careers, since it’s rare for a university to offer two perfect-match jobs simultaneously. Women who work in academia are more likely than men to be partnered with other people who work in academia; 83 percent of women in the natural sciences are partnered with scientists compared to 54 percent of men. Continue onto U.S. News & World Report to read the complete article. As more women pursue careers in the military, their numbers in the senior enlisted and officer ranks have increased dramatically, according to a report released last week by the Service Women’s Action Network (SWAN). In 1988, less than 4% of those in the three senior enlisted paygrades (E7 to E9) were women. But as of February 2018, women constituted 11.8% of the E7 to E9 ranks in the Army; 20.3% in the Air Force; 11.6% in the Navy; 5.6% in the Marine Corps; and 8.7% in the Coast Guard, the report states. Through the 1980s, women made up less than 2% percent of colonels and Navy captains, but the figures as of February 2018 were 10.6% for the Army; 11.6% for the Navy; 14.1% for the Air Force; 2.3% for the Marine Corps; and 11% for the Coast Guard, according to the report. In February 2018, there were 63 female admirals and generals on active duty in the five services, compared to 30 in fiscal 2000, the report states. Retired Navy Capt. 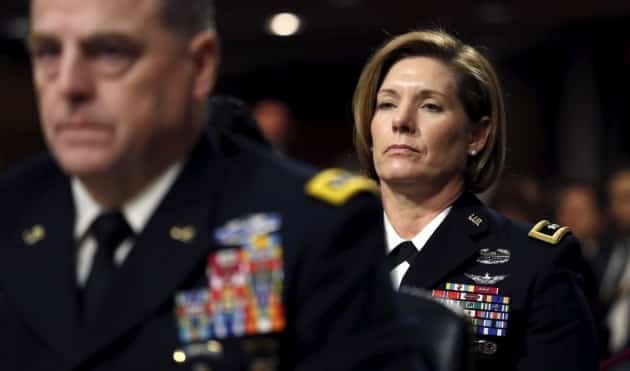 Lory Manning, who compiled the SWAN report, said “a lot more women are staying in the military, and staying longer,” resulting in their increased presence in the senior enlisted and officer ranks. For the complete article, continue on to Military.com. Would you purchase a house without consulting a realtor? What about transitioning out of the military and starting a civilian career without the help of a military recruiter? 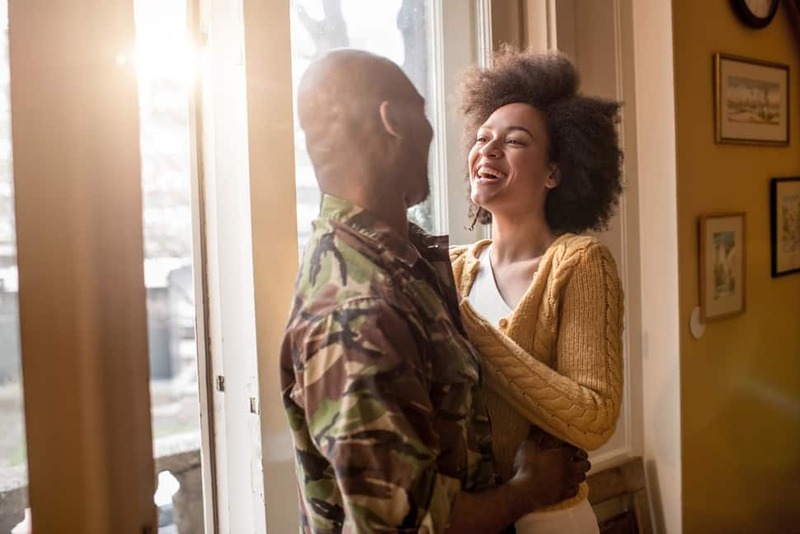 Brian Henry, Senior Vice President at Orion Talent, breaks down the top five ways military recruiters are like realtors, and how you can utilize this resource to achieve the best possible outcome – a rewarding career after the military. A trusted advisor to help steer you in the right direction. Similarly, a military recruiter has experience in their niche of the job market and has worked with hundreds of different companies and types of jobs. “After getting to know a candidate’s background and preferences, they are able to provide insight on the types of roles that the candidate is qualified for and confirm the expected salary ranges and availability of those opportunities in the locations the candidate desires,” Brian stated. While anyone can browse the internet and search for homes for sale, a realtor will use his/her established network to streamline the process and find “off-market” deals or hot leads on houses that are just coming on the market. “In a similar manner, job seekers can engage with an experienced military recruiter who will have access to ‘off market opportunities,’ and many other positions that have an urgency to hire,” Brian explained. Their fees are not paid by you, but by the client companies. As a home buyer, you get the services of a professional realtor, but their commission is paid by the seller. As a job seeker, you get to tap into the services of a military recruiter and all those their team without having to pay anything for that service. They do the heavy lifting. A realtor will scour the MLS, coordinate with sellers and other agents, and schedule a day of house hunting, getting you access to pre-selected homes to see first hand outside of an open house setting. With a military recruiter, you can get similar filtered access directly to the decision makers inside a company. “At an Orion Hiring Conference, you are not just attending an ‘open house’ or job fair. You are invited to a professional event with detailed information sessions, interview preparation seminars and scheduled one-on-one interview sessions with the company representatives you have been matched with, based on your background and preferences,” Brian said. Additionally, military recruiting firms have a staff of Account Executives that are working every day to find new companies with vetted openings. “In the case with Orion, those companies are specifically interested in and want to hire candidates with a military background,” he explained. They help with every step of the process. A realtor will work with their client all the way through the process from finding the right home, negotiating and writing up the offer, and finally closing the deal. 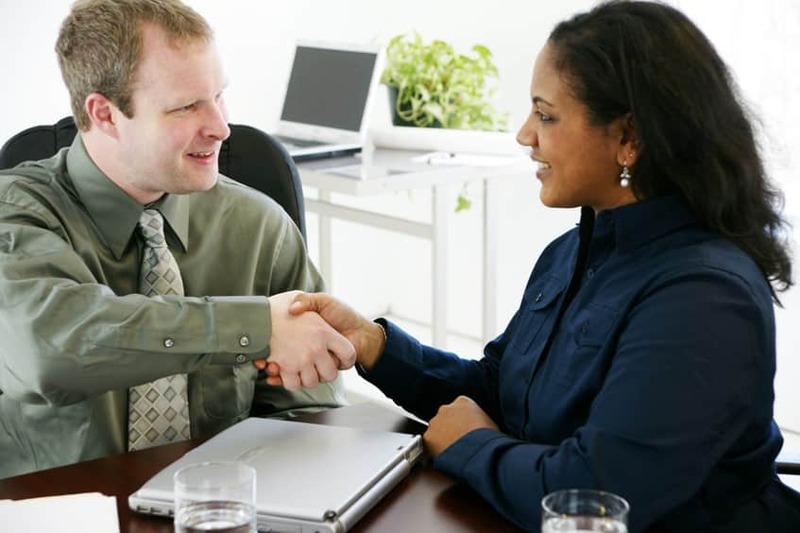 A military recruiter is there to do the same thing, from resume and interview preparation, specific company briefings, giving feedback throughout the process, and providing assistance in negotiating and accepting a position. “Another benefit of using a military recruiter is that the military recruiter is likely to have inside knowledge. 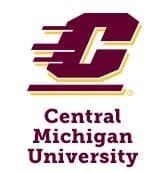 They may know if you are competing with three other candidates for the same position, give you key advice that helps you win the job, or help you in a situation where you have multiple offers come in at the same time,” Brian added. They help land your new career – and are there if you need help in the future. A realtor builds their business based on referrals. They want to put you into a home and deliver a great experience, and their hope is that you will refer your friends. Also, when the time comes for you to sell your home, they hope you will come back to them for your next move. It’s never too late to pay your respects to the fallen – and for Gary ­Marquardt, that meant learning to play the trumpet at 66 years old. Marquardt was just a youngster when he enlisted in the military and waited to be drafted for the Vietnam War. Due to a bleeding ulcer, however, he was deemed unfit to serve. Years later, he finally found a means of atoning for his guilt over not being able to fight alongside his fellow soldiers. In 2014, Marquardt had been attending the funeral of a military friend when he was stunned to hear a mechanical recording of a bugle playing taps. He couldn’t help but be bothered by the lack of live music to honor a fallen soldier – so he walked into a music store and started learning to play the trumpet. Much to the dismay of his wife and neighbors, Marquardt practiced day and night. Sure enough, Marquardt managed to become a bona fide trumpeter. He then started using his newfound skill to visit local cemeteries and play taps at the gravestones of recently deceased veterans and soldiers. Continue on to the Good News Network to read the complete article. 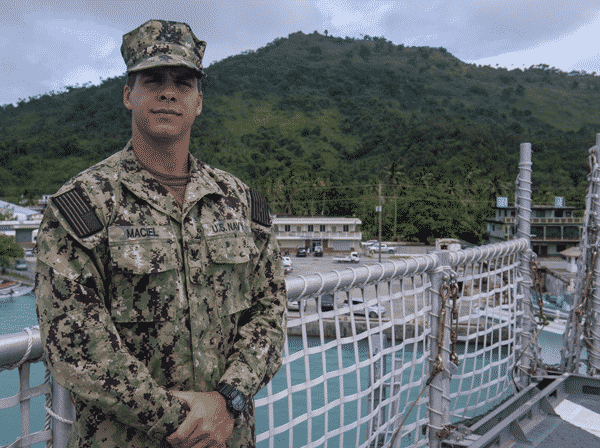 MALAYSIA, Philippines – Navy Information Systems Technician 3rd Class Steven Maciel, a native of Yorba Linda, California, is participating in Pacific Partnership, the largest annual multinational humanitarian assistance and disaster relief preparedness mission in the Indo-Pacific region. As a member of the Pacific Partnership 2019 team, Maciel is one of more than 500 U.S. service members, volunteers and partner nation personnel taking part in a variety of projects including medical training, veterinary services, engineering projects, disaster response scenarios, and a variety of community outreach engagements. Pacific Partnership is the U.S. Navy’s humanitarian and civic assistance mission conducted to work collectively with host and partner nations to enhance regional interoperability and disaster response capabilities and foster new and enduring friendships across the Indo-Pacific region. Creating a well-functioning and welcoming work environment for veteran employees can improve the work environment for all employees. Effective communication has been shown to lead to improved performance and morale. Following is a list of communication tips that managers or supervisors may find helpful when bringing veterans on board at work. Be straightforward and direct in both written and spoken communication. ✪ Listen when you are not speaking. Paraphrase and reflect back what someone has said to make sure you understood correctly. ✪ Keep your voice volume at a moderate level. ✪ Avoid using an angry, threatening, or demeaning tone of voice. ✪ Be clear about your expectations. Specify what you expect an employee to do or accomplish with a task. ✪ Consider giving written instructions or expected outcomes of a task. ✪ If you are unsure about your clarity, ask the employee to summarize what you have said and are requesting of them. Confirm or correct the employee’s response. ✪ Clearly designate responsibility for tasks and projects, especially when assigning a task or project to a team of employees. ✪ When assigning work to a team, make sure there is an identified leader or point person. ✪ Make sure deadlines are clear and manageable. ✪ Set clear limits and observe them. Be consistent. ✪ Be clear about standards for promotion. ✪ Give praise and recognition for work well done. ✪ Be clear about the consequences of unacceptable behavior. ✪ When correcting an employee, that at the base when you get your discharge papers, and learn to ask for everything. Asking for an opportunity shows you are eager and motivated to get to work. While not second nature, this mindset will pay dividends.describe what can be observed, not what you suspect. ✪ Do not avoid or ignore conflict. ✪ Have a plan or process for managing conflict. Make sure employees know this plan so they can act appropriately when conflict arises. ✪ Check with your Human Resources office to see if your company already has a protocol for how to deal with conflict, or if there is someone to help deal with conflict in the workplace (e.g., an ombudsman). ✪ Have the discussion in a neutral setting that allows for privacy (e.g., a conference room with a door). ✪ Identify the goal of the discussion (e.g., gathering information, generating a solution) and stick to the goal. ✪ Focus on the facts and the identified problem. ✪ If multiple people are involved, let each person have time to describe what he or she sees as the problem. Use a time limit if needed. ✪ Listen actively and paraphrase what was said. Ask for clarification when needed. ✪ Do not focus on emotions or the person. ✪ Use objective, professional language. ✪ Avoid judgmental comments or making generalizations. ✪ Do not interrupt or let others interrupt. ✪ When generating possible solutions, be flexible and offer options when possible. ✪ Identify the changes in performance that need to take place for the employee to be successful. ✪ Meet with the employee to discuss the performance problem or deficiency. Do not wait until a performance review. Use a private setting (e.g., an office with a door) in order to protect confidentiality and to maintain the employee’s dignity. 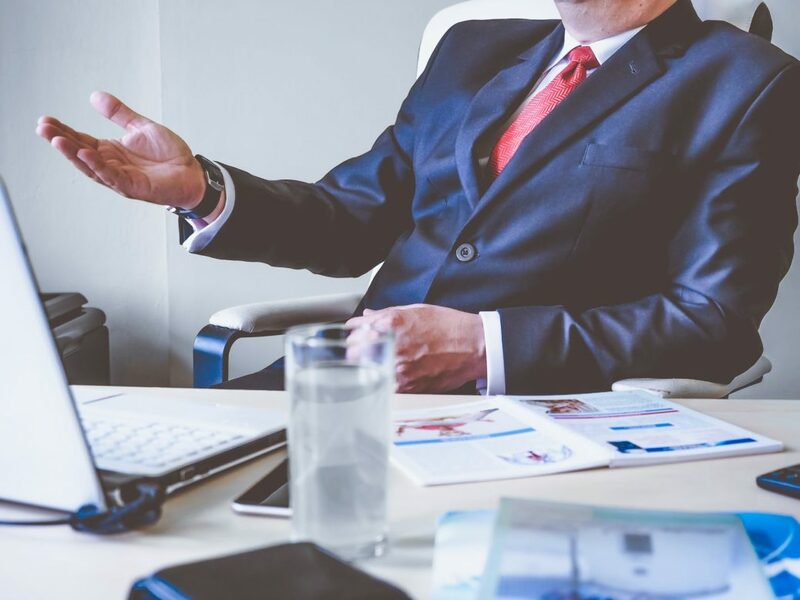 ✪ When meeting with the employee, explain, in detail, the performance issues and explain why it is important for the performance to improve and meet the job standards. Be specific. Stick to the facts. Have documentation available. Discuss the performance issues and behaviors, not the person. 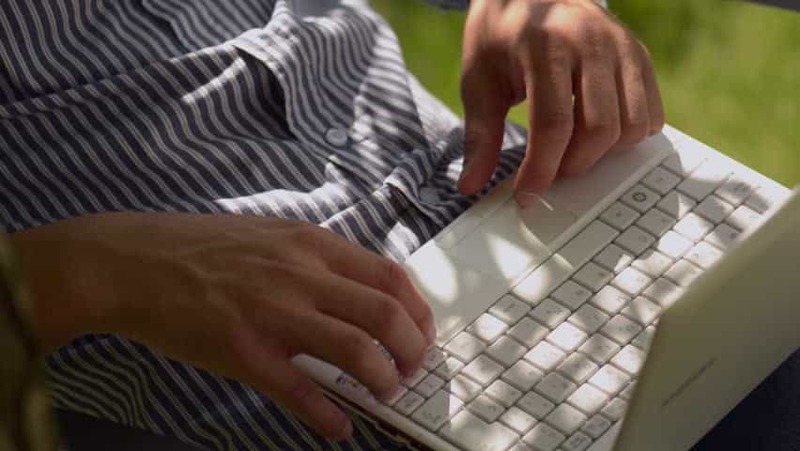 ✪ Gain agreement on the deficiencies and agreement on the standards the employee must achieve. ✪ Focus on the performance standards required for the job. ✪ Agree on solutions and ask what the employee needs to perform the job successfully, such as more training or other resources. Agree on the plan and the time frames expected for improving the performance. ✪ Advise the employee of the consequences if the performance does not improve. ✪ Set up regular feedback meetings with the employee to discuss the progress (i.e., every Friday to go over the week’s results). ✪ If the employee does not meet the expectations outlined in the plan, consult with your Human Resource office and follow your company policies and procedures on the next steps (e.g., written warning, suspension). 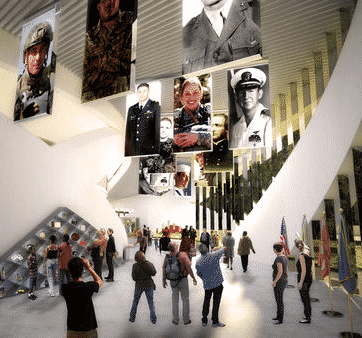 National Veterans Memorial & Museum (NVMM) recently announced that it will offer free entry for any US Military Veteran, Active-Duty Military Member and Gold Star Families. The NVMM is the first and only nationally designated museum in the United States dedicated to honoring veterans, and just opened in October 2018 in Columbus, OH. 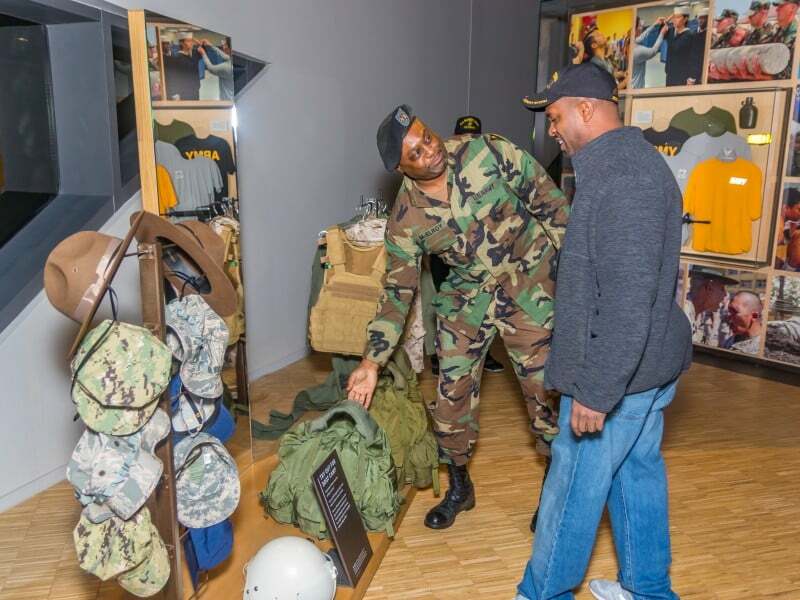 A Museum About Veterans and For Veterans: Exhibit designer Ralph Appelbaum Associates created an exhibition that is focused on the people – the soldier, the military personnel, the family member of a veteran – and their narrative journeys. Through personal artifacts, imagery and videos of veterans telling their story in their own words, the exhibitions draw in visitors and give them a sense of what veterans have gone through during their military service, highlighting the historical and contemporary examples of veterans’ stories. Rather than focus exclusively on combat and war, this exhibition narrative will explore the transformative experience of military service while connecting it to the broader idea of public and community service. The aim: to stimulate an ongoing dialogue to increase connections between civilians and veterans. 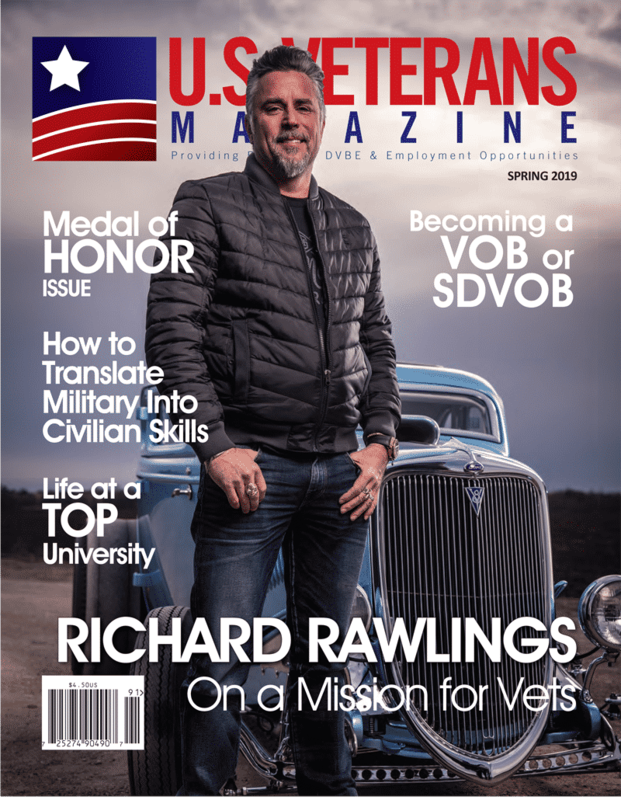 Pioneering in Education – Finally a Platform for Vets’ Stories to Be Told and Heard: The NVMM is the only place where the stories of our veterans, their families and the fallen – across all branches of service and all eras of conflict – are told together. The museum bridges historical events to current concerns and strengthens understanding and respect between veterans and civilians. This cultural institution stands as a place of inspiration for all visitors to come together as one people with a common bond and a shared pride in our veterans. A New Architectural Icon: The building architect, Allied Works Architecture, has designed a massive concrete arch structure (made up of a whopping 28 million pounds of concrete) with a glass curtainwall system and spiral processional, rising to a rooftop sanctuary – truly setting this museum apart The landscape architect, OLIN (the masterminds behind Bryant Park and Columbus Circle), designed the surrounding 2.5-acre Memorial Grove as a place for reflection. At the center of a circular path, there will be a grove of trees, designating the area as a sacred place to honor and memorialize veterans. A Unique Philanthropic Effort: Most fundraising projects are fueled by a group close to a cause – this is a unique exception. While many veterans have played a critical role in the project’s bottom line, the largest private investors – Les and Abigail Wexner – committed to the project not because of particular ties to the military but because of their strong commitment to the community. They invested in the cultural credibility of the Region, and in the importance of not only supporting our veterans, but educating the public on their stories and service. The project received more than $82 million. For more information visit; National Veterans Memorial & Museum. The biggest new star quarterback of NFL doesn’t get a lot of free time. Practicing is as important as game time, so when the time comes to relax, it’s understandable that a young football star might actually rest. 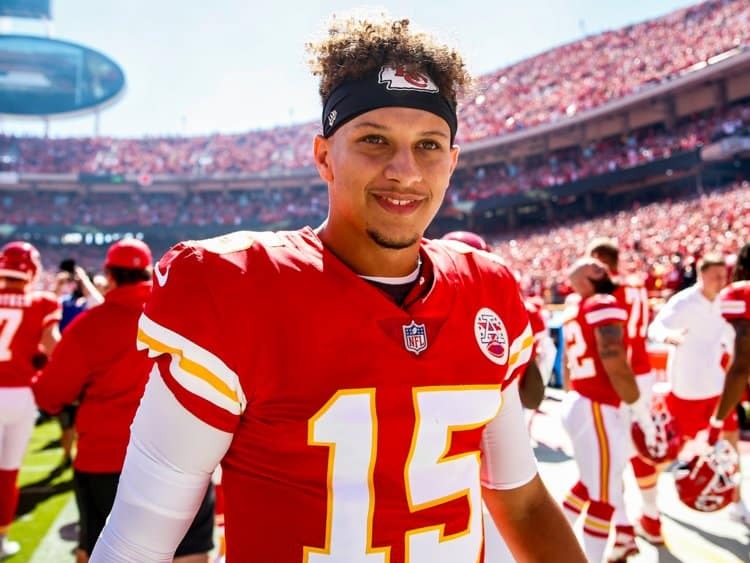 But it turns out Patrick Mahomes, the Kansas City Chiefs’ young QB, is a star both on and off the field. The second-year QB spent his day off helping build transitional housing for veterans in the Kansas City area with The Veterans Community Project, a non-profit that’s building a specialized community network of tiny homes and services dedicated to supporting every man and woman who served — also known as Tiny Houses for Homeless Vets. The founder of the Veterans Community Project, Chris Stout, is a former U.S. Army corporal who was wounded in Afghanistan. His own transition into civilian life was marked by trouble with PTSD and employment issues. Though not homeless himself, he told CNN he was shocked at the inefficiencies he witnessed in the programs designed to help vets escape homelessness. When Stout discovered homeless vets shunned shelters because they were unsafe and lacked privacy, he paid for hotel rooms out of his own pocket to keep these heroes off the street — but that too was inefficient. Eventually, he and his friends left their jobs to start the VCP, helping veterans first and asking questions later. For the complete article, continue on to We Are The Mighty. April is designated as the Month of the Military Child, underscoring the important role military children play in the armed forces community. Sponsored by the Department of Defense Military Community and Family Policy, the Month of the Military Child is a time to applaud military families and their children for the daily sacrifices they make and the challenges they overcome. The Month of the Military Child is part of the legacy left by former Defense Secretary Caspar Weinberger. He established the Defense Department commemoration in 1986. DoDEA joins the Department of Defense and the military community in celebrating April as the Month of the Military Child. In DoDEA communities around the world, our most essential strategic imperatives are: establishing an educational system that progressively builds the college and career readiness of all DoDEA students; and establishing the organizational capacity to operate more effectively and efficiently as a model, unified school system. We aim to challenge each student to maximize his or her potential and to excel academically, socially, emotionally and physically for life, college and career readiness. Throughout the month, DoDEA will encourage schools to plan special events to honor military children and have administrators and principals incorporate the themes of this month into their every day duties and responsibilities. These efforts and special events will stress the importance of providing children with quality services and support to help them succeed in the mobile military lifestyle. April 15th is Purple Up! Day, an opportunity for Americans everywhere to show support for military children. Pick your favorite shade of purple and wear it all day long to raise awareness of the sacrifices military families make, but especially kids. Let your child know you’re wearing purple especially for them. With life’s chaos, it can be challenging to spend quality time with your children. This is especially true when you’re a military family just trying to get through a long deployment or settling into a new duty station. Let your child pick a place to go and treat them to a date night. If you have multiple kids, do this with each of them individually. Your school-aged child might have the opportunity to do show and tell or another similar project. Use this as an opportunity to educate other students and teachers about Month of the Military Child. If your child goes to a DoD school, encourage them to do a fun presentation on all the places they’ve lived. This activity is especially fun if you’ve just relocated to a new duty station. You might do it on base in a safe place like the commissary or exchange. Create a list of items for your kids to find. Have players take pictures of items or collect listed objects. Set a timer and see who finishes first! Set behavior expectations as well prior to starting. Sometimes you just want to do the dishes, laundry, and a million other items on your to-do list. If sitting down and playing a board game sounds boring, but your kid would love it, give it a try. Genuine encounter moments (call these GEM for short! ), are when your kids get your full and undivided attention. Be in the moment and watch how your kids open up. Let your child wear that colorful tutu or awesome superhero cape for a photoshoot. Call in a professional photographer or snap pics on your phone. If you want to get super creative, have your kids help you create a backdrop and pick out props for their photoshoot. Bring in their closest military friends, too, for double the fun. Be sure to send the pics to your service member if they’re deployed. Young kids love to show off their parents. Whether you’re a military spouse or service member, offer to be a guest speaker in your child’s classroom during the Month of the Military Child. Share your experiences, and open the floor for discussion about military life. Whether it’s over dinner or a visit to an ice cream parlor, ask your kids how they’re doing. Let them lead the conversation, but sprinkle in questions like “How does that make your feel?” or “What do you think about ______?” Listen, verify, and validate their feelings. You’ll be surprised what they are willing to share if you ask in the right setting. When you spend quality time with other military families with kids, it can help your own child or children create their tribe. This is especially true for families within the same unit or platoon. As deployments come up, your kids can learn and grow together in the ways of military life. For the month of April, let your child decide what you do on Friday nights. This will let them feel like they have a say in what family does, when they so often don’t. Consider all requests thoughtfully and make modifications as necessary. Movie nights, ordering take-out, and water balloon fights in the yard are a couple of ideas to get started. Ask your child’s teacher if they’d be willing to plan some lessons around the military. This might be especially interesting for children to learn more about military life operations. If your family has a favorite book about deployments or military life, offer to let the teacher borrow it for a lesson or two. Continue on Sandboxx to read the complete article. Medal of Honor recipient Clint Romesha, pictured left, to speak at networking event on April 4 at 6 p.m. EST in New York City. America’s Warrior Partnership is hosting its next “Camouflage & Cocktails” networking event to celebrate empowered military veterans. Sponsored by First Data, OppenheimerFunds, Apollo Global Management and Natixis Investment Managers, the event will take place in New York City at Carnegie Hall on April 4 starting at 6 p.m. EST. The event will recognize business and civic leaders who are supporting veteran-friendly workplaces and communities, while also providing attendees the opportunity to network and learn how they can contribute to the movement of empowering veterans. 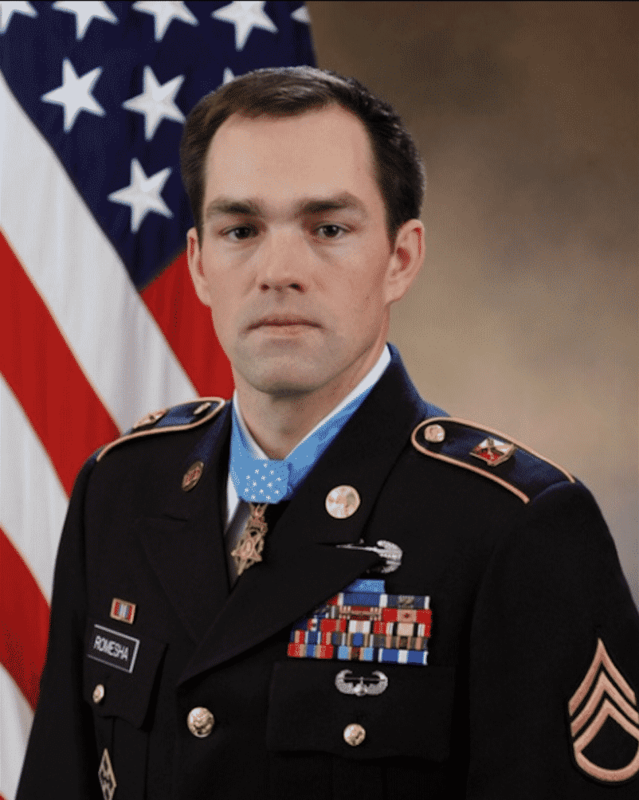 Medal of Honor recipient Clint Romesha will serve as the evening’s honorary host and speak to attendees about how communities can bridge the gap between veteran and civilian cultures. Before commencing the “Camouflage & Cocktails” evening event, Clint will join America’s Warrior Partnership in visiting several New York-based businesses on April 4 to speak with employees and recognize their dedication to creating veteran-friendly workplace environments. Donations raised during the evening event will support ongoing programs and initiatives from America’s Warrior Partnership that are empowering communities to empower veterans. For more information and instructions to RSVP for the event, visit the America’s Warrior Partnership website. America’s Warrior Partnership is committed to empowering communities to empower veterans. We fill the gaps that exist between current veteran service organizations by helping nonprofits connect with the veterans, military members and families in need: bolstering their efficacy, improving their results and empowering their initiatives. America’s Warrior Partnership is a force multiplier for warrior community integration that enhances communities where great Americans choose to live and contribute. For more information on the organization and how to get involved, visit AmericasWarriorPartnership.org.